“Naga viper chilli” those 3 words will always come back to haunt me, I clearly didn’t know what I was letting myself into going to Red Dog Saloon. I have a group of friends that I meet up every month to enjoy a meal out. 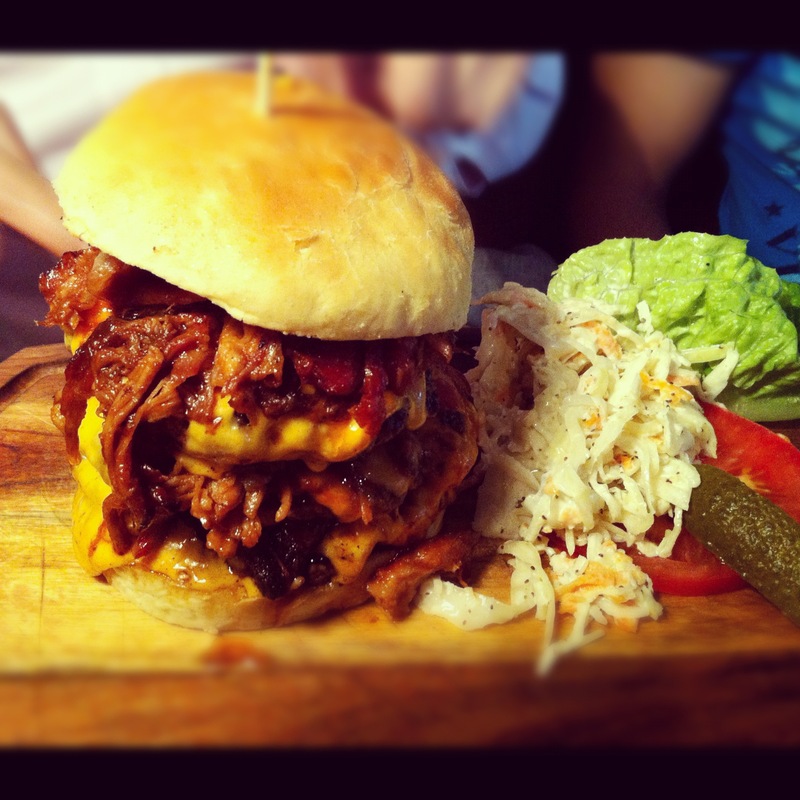 “The devastator burger” was one hot topic mentioned this particular burger is made up of 3 x 6oz of patties, 200g ground pork, 6 rashers of apple smoked bacon and 6 slices of cheese. 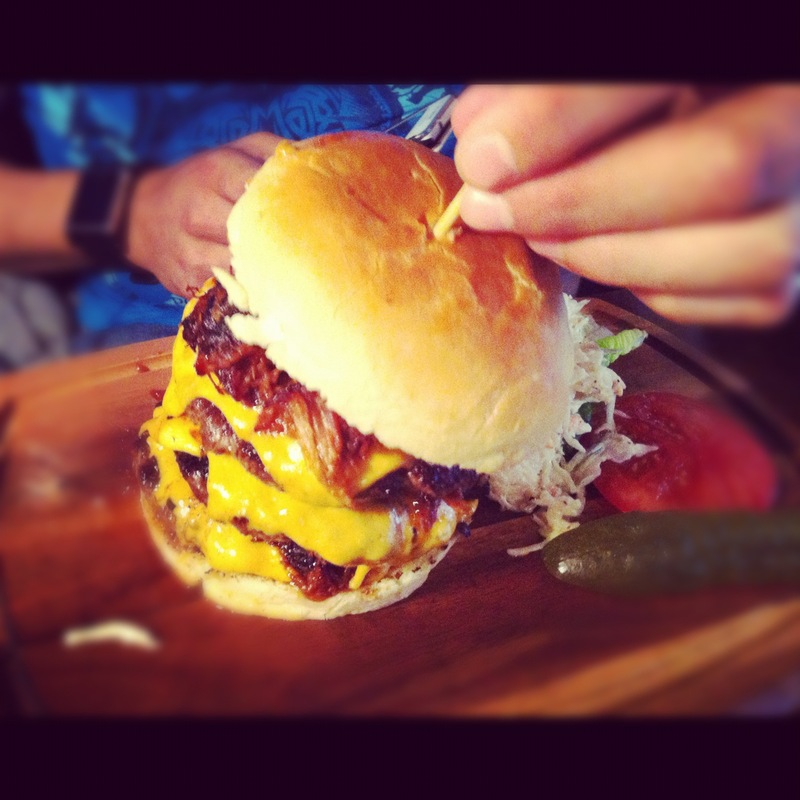 That is one heck of mouthful of MEAT. 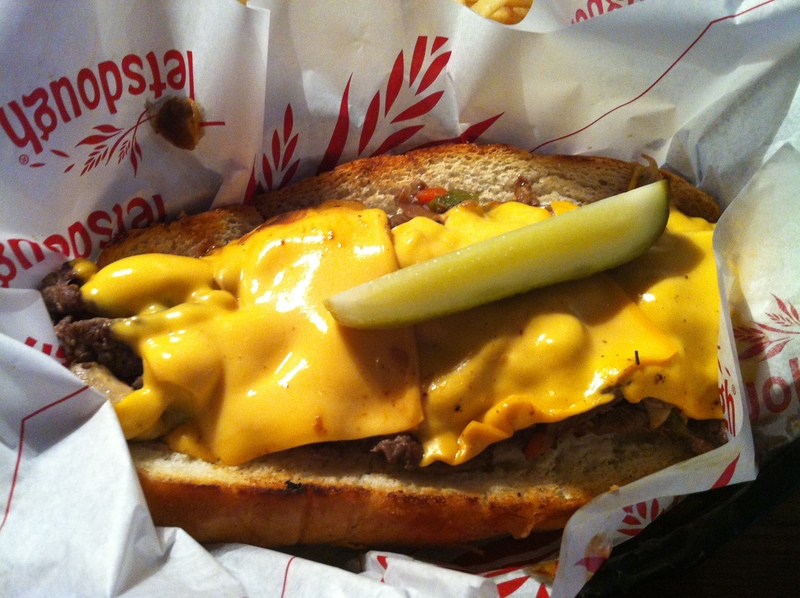 Red dog saloon specialises in American BBQ food, I was dying to try out the Philly’s cheese steak. Hidden in a square around the Hoxton area, red dog saloon is easily found just behind the breakfast club and Byron burgers. Slowly one by one the group arrived and the anticipation for “the devastator” grew stronger. They were contemplating about taking up the challenge, but they wanted to thoroughly enjoy the burger. 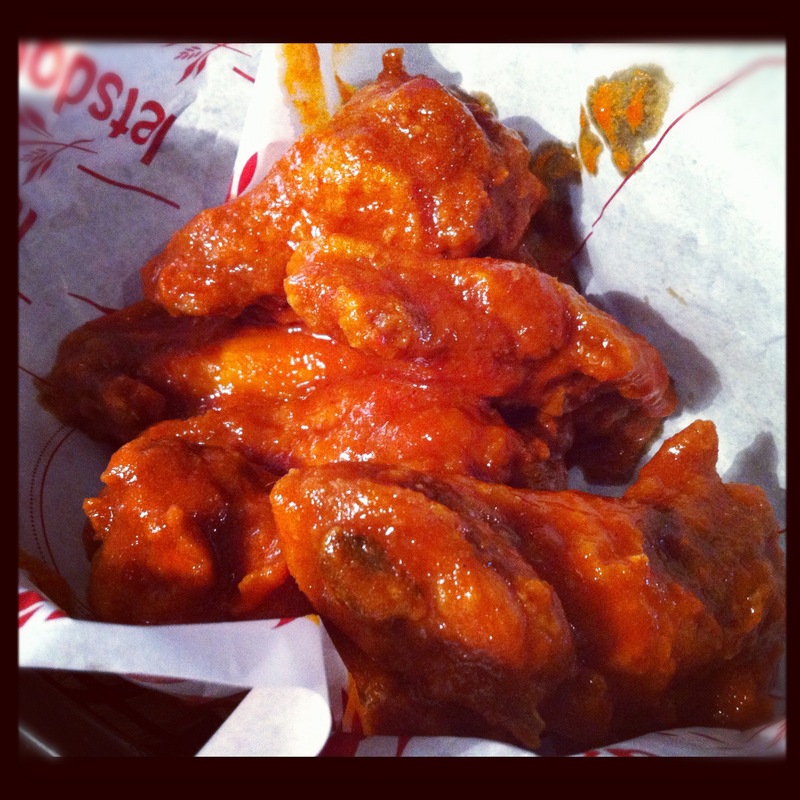 Simon REALLY wanted to try the hot wing challenge, after seeing Food network “man vs food” somehow I agree to eat 2. (I really wanted the Buffalo wings) The waiter was trying to convince us not to eat the wings before our mains, but we had them near the end. We were googling Naga viper chilli, and found that it was the official holder of the Guinness World Records “World’s Hottest Chilli” record as of 25 February 2011 and had the Scoville Heat Units rating of 1,382,118. My heart skipped triple beats; I can’t handle chilli let alone the world’s hottest chilli pepper. The philly’s cheesesteak was ok, wafer thin beef, topped with cheese, onions, peppers, and mushrooms. It was good, but not as good as my very first cheesesteak from meatwagon. Back to that hot wing, Jeremy retired after trying one drop; Simon was already reaching out eating his first one, within 5 mins the tears starting rolling. It was down to me and genie; honestly, when you first bite into the hot wing it taste good, it’s not a numbing type of chilli something quite pleasant. After 5 mins it got to me, one eye was burning, the nose starting to run and before I knew it I was ripping out kitchen towels to stop myself from crying. I only managed to finish one, it was lethal. It was a meal to remember and I don’t think I’ll be taking up crazy food challenges for a while. I’ll come back for the BBQ stuff and burgers.